Kertiii: Pretty flower in a vase ! I used Canon EOS400D and 50mm lens, tripod and Photoshop CS4. Enjoy ! GORGEOUS PHOTOS! i really love your hair, and in that second photo, you remind me of Lady Gaga! You are so beautiful!I love you make-up i think you have done it good :3 and you really draw very very well. I love your style! I came across your blog from lookbook.nu and I am obsessed with your hair color! I'm never satisfied with my blond. What do you do to it/what do you use?! you are so beautiful ! i'm so jealous. and love your style ♥ ! Omg... You're the prettiest girl I've ever seen ! 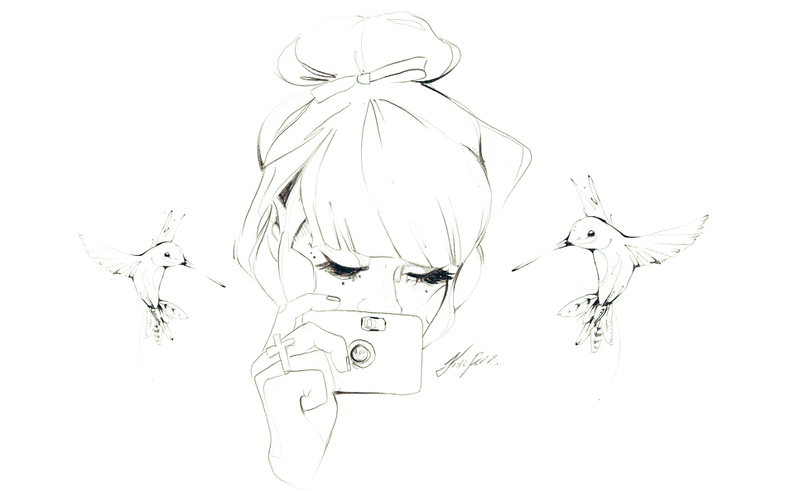 And I'm in love with your photos & clothes/accessories ♥.